Thanksgiving is just around the corner, and holiday shoppers are no doubt preparing for crazy store hours and deals that are just too good to pass up. While the holiday shopping madness used to begin on Black Friday, retailers are now offering discounts beginning on Thanksgiving and extending to Cyber Monday, and beyond. With the shortened holiday season, a major trend we can expect to see this year is online shopping. Instead of skipping that piece of pumpkin pie to head out to their local Target or missing that nerve-racking football game, consumers will shift their shopping behavior to their favorite retailers’ websites. * This year will see the highest-ever online spending during the US holiday season, with Thanksgiving, Black Friday and Cyber Monday all breaking records. * Online holiday sales (defined as sales in November and December) are expected to grow 11-15% over the last holiday season to $82 billion. 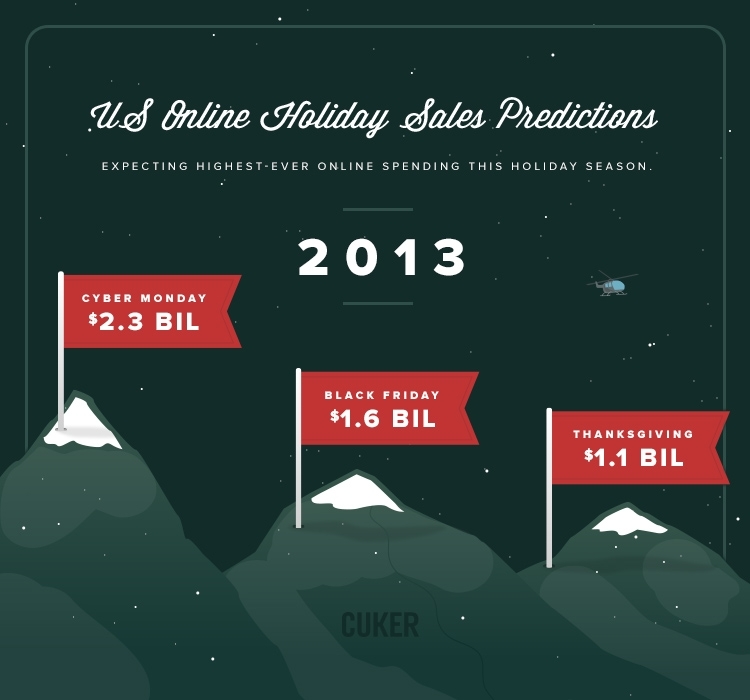 * Thanksgiving will be the fastest growing sales day with online predictions up 21% from last year to $1.1 billion. * Black Friday sales are anticipated to be up 15% and reach just over $1.6 billion. * Cyber Monday will be the “biggest online shopping day ever” generating an estimated $2.3 billion. * With mobile commerce up 40% year-over-year, holiday mobile shopping is projected to increase, with Thanksgiving Day seeing the highest mobile purchases. So go ahead and enjoy browsing your tablet from the comfort of your cozy home for those perfect holiday gifts! Published on November 25, 2013 .